In the near future Haden's syndrome ravages the Earth, changing society forever. n the near future and sooner than you think a new virus will sweep the globe. At first it will look like the flu, but then we will discover there is something else about it something we weren't expecting. It will change society forever. No, this isn't another zombie virus. And no, this isn't the apocalypse. It's Haden's syndrome. We'll survive it. But the world will be remade in its image. "Unlocked: An Oral History of Haden's Syndrome" is a novella that will take you through the heart of this terrifying disease, from its unusual and ironic origin to the frantic response of doctors, scientists and governments. You will see the "moon shot" response to free the people locked in thrall to the disease. And you experience the emerging society that those with the disease build for themselves and for the rest of us. 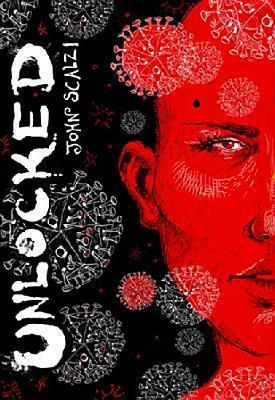 A companion piece to John Scalzi's novel "Lock In," "Unlocked" is an unexpected take on a frighteningly possible future.